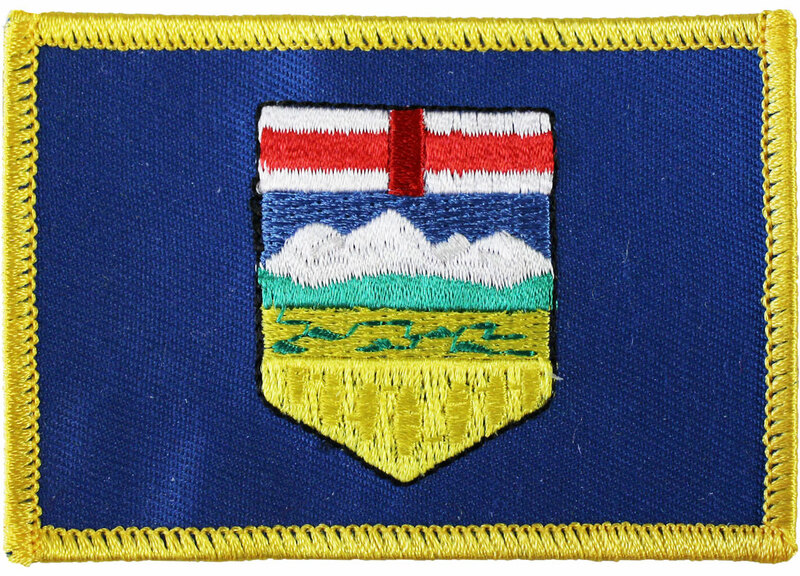 Our rectangular patch features the Alberta flag with a gold embroidered border. The patch can be sewn on or ironed on. Actual size is approximately 2.25" x 3.25".